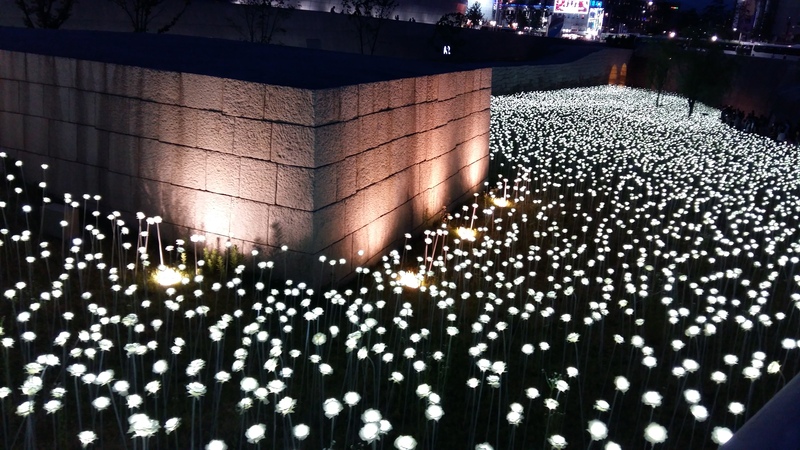 Dongdaemun is one of Seoul’s most popular neighborhoods for shopping and tourism. A central point in the district is the Dongdaemun Design Plaza — an architectural hotspot built to house conventions and exhibitions. 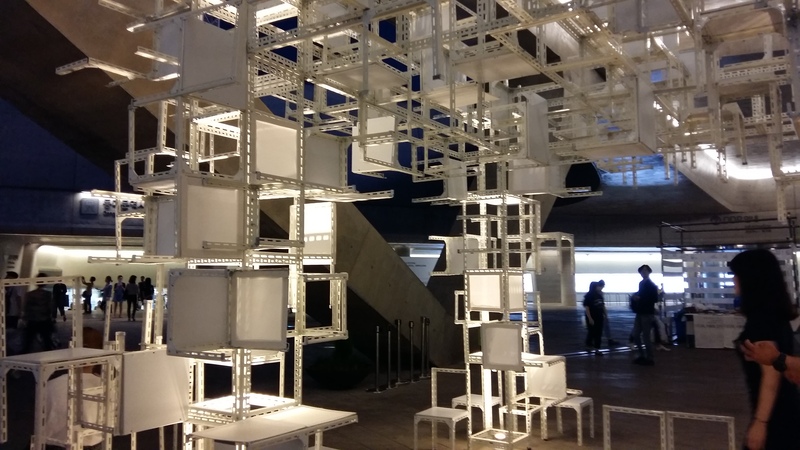 A walk around the DDP at any time of the year will show you some interesting art: from pop-up installations to rooftop gardens, historic artifacts to the neofuturistic building itself (neofuturistic architecture is real big in Seoul). 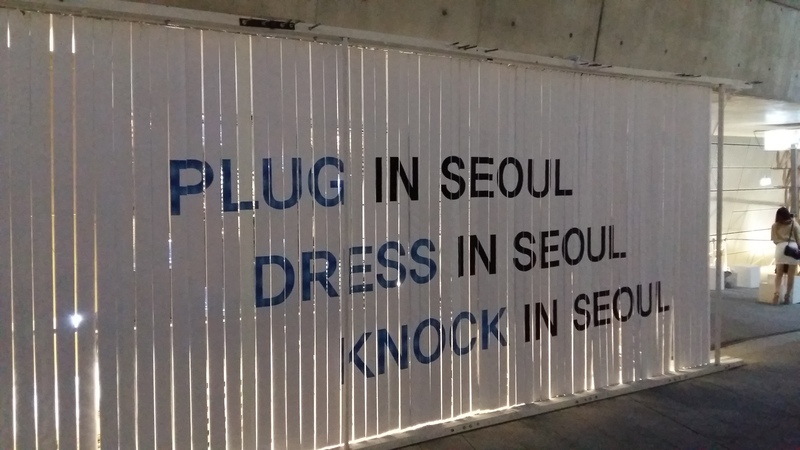 This March, Seoul Fashion Week was held at the DDP. 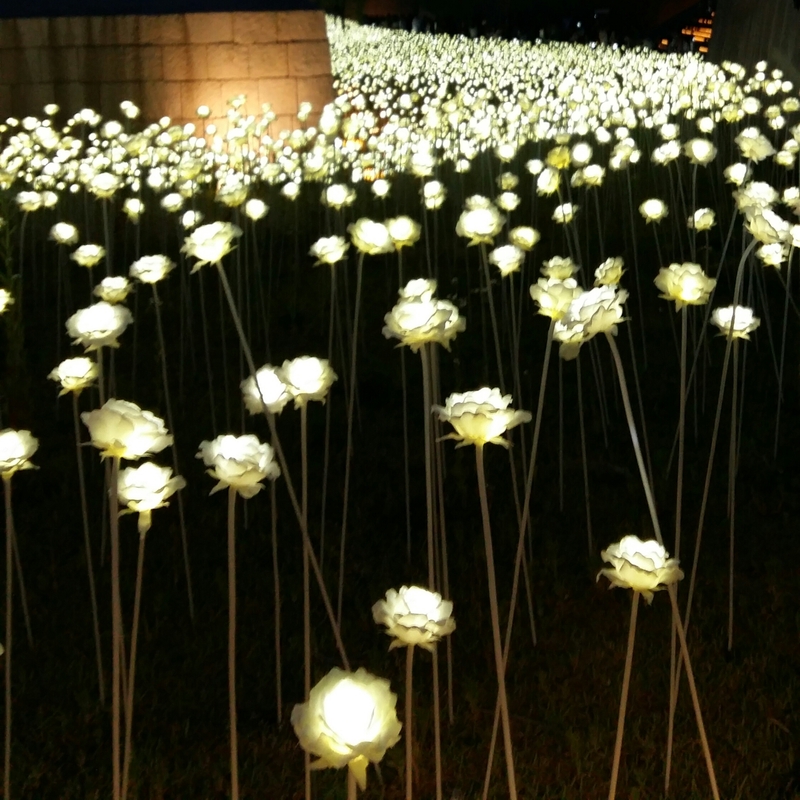 A garden of more than 21,000 LED long-stemmed, white roses planted into the DDP’s rooftop garden has been a most popular art installation in the area lately. The rose garden will be on display from April 18, 2015 through Feb. 29, 2016. The sight is super breath-taking and goes on forever. You will almost definitely have to nudge some selfie-taking couple out of the way to get a good look, but, you know, that’s 2015 for you. 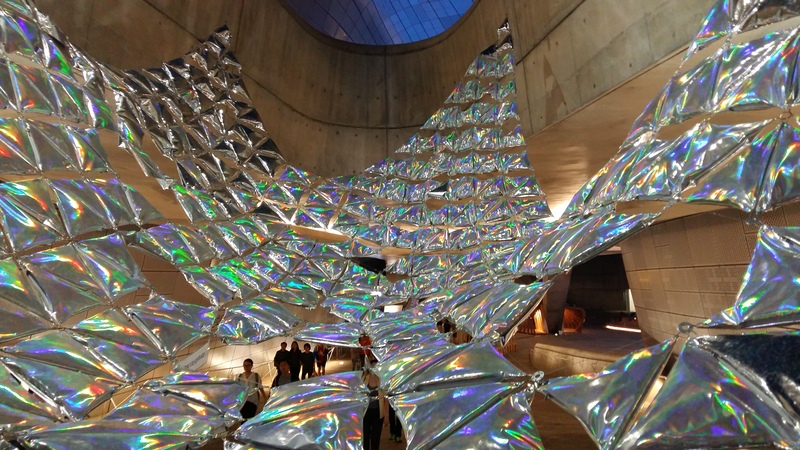 This entry was posted in Korea, Seoul, Travel, Visual Art and tagged architecture, art, ddp, dongdaemun, Dongdaemun Design Plaza, exhibition, installation, korea, led, lights, neofuturism, roses, sculpture, Sejong University, seoul, Seoul Fashion Week, visual art on June 24, 2015 by screamfmlondon.